Designing Curriculum research papers discuss essential elements that must be included when designing a curriculum. When designing curriculum for the American education system, there are a few essential elements that must be included in the final product. First, the instructor needs to identify a clear theme in the unit, whether this is a specific topic to be addressed or a thematic unit to be taught. A one-sentence aim should be created, describing the purpose of the curriculum being developed. From this, a rationale and teaching model should be created, providing justification for the creation of this curriculum and the need for such an educational strategy; the audience should also be clearly identified. Goals and objectives need to be clearly identified, showcasing what national educational standards will be accomplished and what students will be capable of doing when the lesson is completed. In terms of the practical elements of the curriculum, instructional notes should be provided. This will demonstrate what instructional strategies the teacher is going to take to provide direct instruction to students in this particular curriculum. This should be written so clearly that any instructor would be able to pick up the unit and instruct an appropriate classroom. Accommodations for students that need them should also be incorporated into the development of this instructional plan. Material should be clearly listed, as should the various forms of assessment used to gauge students' goals and objectives, and whether or not students have met them, as listed in the curriculum. Such inclusions will ensure the effective teaching of a particular lesson, theme, or topic to students. Designing curriculum is one of the most challenging aspects of school administration. In curriculum design, schools fulfill the responsibility of assessing the capacity of the learner, manipulating the skills of students towards the goals of the institution and applying the value system of the public school system. Curriculum design must keep the collective in mind as well as the student in both primary and secondary schools. Number of Subject Options - Options for a curriculum must be a part of the national curriculum, in order for funding and accreditation to remain in tact. The Student - Depth and quantity of material must take into account the mental, physical and developmental aptitude of the student/s that the curriculum is designed for. The process of designing a curriculum that is effective for a school. Outline of a Syllabus - Just as no race can be won without a finish line in view, objectives for designing a curriculum must be outlined and clearly including goals Draft a Scheme - A scheme breaks down the topics and the order in which the topics will be taught. Evaluation Method - A standardized evaluation method must be developed in order to determine the success of the curriculum and if it is meeting the goals of the school. No resource should be turned away or disregarded. Financial, human and material resources can come from a variety of different sources. Creative delivery of educational resources can often mean the implementation of a curriculum that serves the needs of the student well as long as fulfilling the national and local guidelines of educational standards. 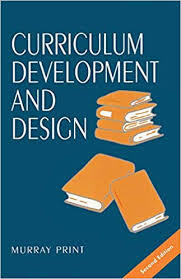 Successfully designing a curriculum depends on several factors to implement a curriculum. A learning environment that is conducive to interaction between both the teacher and the student. Tension and problems bring the process of learning to a halt. Support from administration and supervisors is also important in creating an environment that is ripe for a new design of curriculum. Further more, the instructors or teachers personality can be the key the learning process and curriculum development. Knowledge of the goals and how to implement the designed curriculum are on the shoulders of the teacher and depend on a proper attitude for development. Paper Masters writes custom research papers on Designing Curriculum and discuss essential elements that must be included when designing a curriculum.